It was in 1999 that the GM-EMD class 66 really started to dominate railfreight in Britain. 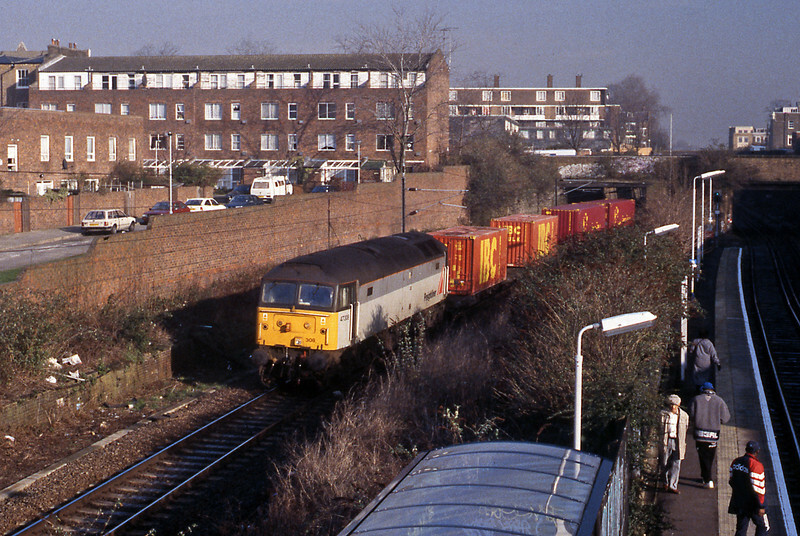 Prior to that I had only seen one 66, back in December the previous year working an intermodal train from Dollands Moor to Wembley. But that was soon to change and by the end of the year they were pretty much everywhere. 22nd January; Caledonian Road & Barnsbury. 47308 on the bi-directional freight line on the 4M54 Tilbury to Crewe.